CAT BEHAVIOR: Don’t take it personally! As a consultant who works with cats and their guardians, I often find myself counselling far beyond the scope of cat behavior. Human emotion is a huge factor in the way people perceive their cat’s actions. Can you blame us? We humans are so vested in each others feelings that it is very easy to equate the same perception to the way cats view the world. 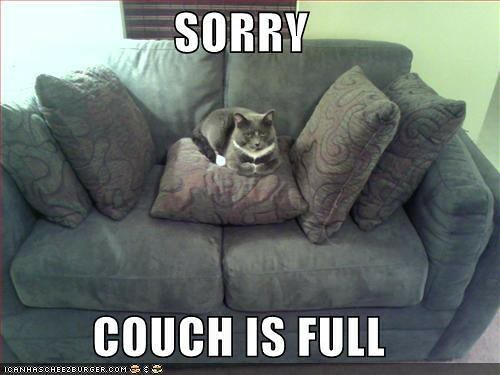 Cats almost always do things that are completely self-serving. Ever find yourself getting up at 6 am to fill a food bowl or sitting on the edge of the couch where its less ideal because your cat prefers the middle? Cats are manipulators plain and simple and when they do things a little out of the ordinary (by human standards) they are not trying to hurt your feelings. They are however… trying to tell you that some things have to change! Ok…perfect example: The cat who pee’d on your pillow. Chances are there is something about that litterbox that your cat is unhappy with. Did you forget to clean it, change the litter suddenly, add more cats to your home, go on a long vacation, have a mobile toddler running amok in the apartment? Is the litter deep enough? A sudden poop mishap or wayward urination episode points to stress, change or something new that may be triggering it. But…why my boyfriend’s pillow? He must not approve of the guys I’m dating! No, chances are the box was such a turn off that a soft, absorbent pillow was very inviting. Once the habit forms, the pillow becomes part of the regiment. Focus on what may be triggering the behavior and make things simpler. The constant conversationalist: “Whenever I’m on the phone, my cat won’t stop meowing? 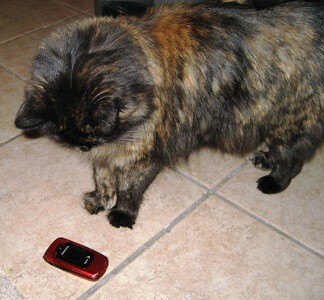 He must want me to get off the phone.” I highly doubt that your cat knows what a phone is. Maybe he thinks you’re talking to him? Usually when you talk to him, he is rewarded in some way. A treat, petting session, maybe even some playtime will usually follow a human-cat conversation. Talking on the phone is such a tease! 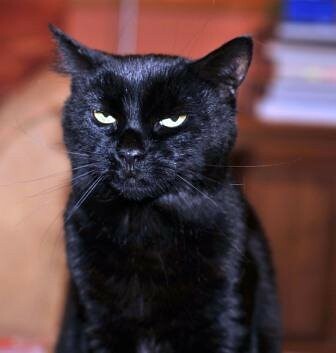 The over the counter-knocker-over: Cats get bored! Could it be that your cat is knocking your pencils off the counter each day because you’re not engaging her in long enough play sessions? Does she wake you up at night by making noise? Do you get up, yell or turn on a light? Guess what? You just rewarded your cat! Even responses we think are negative can be perceived as positive from a cat’s point of view. The “Out of the Blue” attack: Sudden aggression without stress as a trigger almost always points to deprivation. Plain and simple, some cats just need constant stimuli. Sure, most cats sleep all day and sleep even more at night. Others will count on you to provide them with entertainment, no matter how long your work day was or how little sleep you got because he was standing on your head all night. A sudden bite on the leg is an extreme cry for attention. PAY ATTENTION TO ME! Dancing With the Stars can wait! Bite the bullet folks. You may have been at school for nine hours feeding your brain, but kitty was home with nothing to do all day. When you walk in the door, it’s GO TIME! Get those toys out and get your cat engaged in play. So, you see… it’s not ALL your fault…but really it is. Don’t take it personally. Just remember whose house you live in and who your boss really is. You’ll do just fine. « It’s always a little weird to see yourself on a billboard.